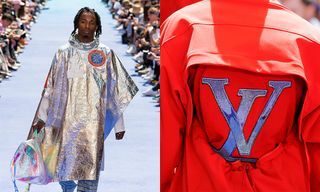 Amidst all of the mayhem surrounding Virgil Abloh’s debut Louis Vuitton show today, you may have missed a key moment from the fashion house. LV has thus partnered with Warner Bros. to celebrate the upcoming 80th anniversary of The Wizard of Oz. 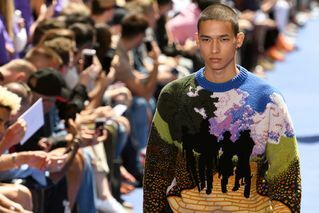 Two pieces were featured on the runway earlier today in Paris, noting shadows of The Wizard of Oz characters set against the famed yellow brick road. 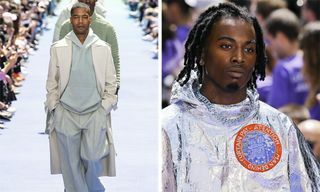 In addition, Victor Cruz was on-hand, donning one of the styles from the SS19 collection. 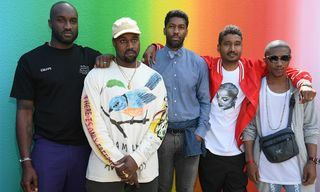 Get your first look at The Wizard of Oz x Louis Vuitton above, and be sure to hit us with your thoughts in the comment section. 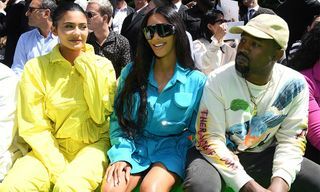 Now, see all of the celebrities that attended Virgil Abloh and Louis Vuitton’s SS19 Men’s show.